In some locations, it is impossible to live without an air conditioner during the summer. However, with so many sizes and options available, it can be a challenge to select the right one. We’ve gathered together some information to make it easier. Here are some ideas that will help you to find the best air conditioner for your cooling requirements. Because AC units vary from model to model in their cooling capacity, this is an important step. To determine this, you need to measure the entire space that you want to cool with an AC unit. So, begin by multiplying the length by the width to determine the cooling capacity that is necessary for your particular space. The cooling capabilities of an AC are measured in British Thermal Units (BTUs) per hour. With BTUs, you can evaluate the cooling capacity of an air conditioner. Furthermore, the higher the BTUs the larger an area that gets cool. Additionally, the online or label description for an air conditioner will state the total area an AC is capable of cooling. As a guideline, you can cool down an area of 14 to 23m2 (150 to 250 square feet) with 5,000 BTU. If your room receives lots of sunlight, try an air conditioner with a higher BTU rating. For example, select a unit with a 10% higher capacity for a room with direct sunlight. Portable AC units weigh from 50 to 80 pounds. Of course, the one nice advantage is that you can move these air conditioners from one room to another. Also, their cooling capacities may range between 9,000 BTUs and 15,500 BTUs. However, be sure to select a unit built for energy savings and quiet operation. Prices range between $300 and $700. To cool several rooms, you can buy a split or a single ductless air conditioner. Although these are more expensive than portable or window unit, you can install them without installing an air duct in your house. Because these inside units are mounted high up on the wall near the ceiling, they are sometimes difficult to install. It’s important to note that when projects are too difficult, it’s best to hire professionals to help you. The airflow of your existing ductwork. Any possible leaks in the house that will raise energy use. A central AC unit costs from $3,000 to $7,000. Energy Star-certified air conditioners use 10% less energy than non-certified units so you save money and lower your carbon footprint. Those are both excellent reasons to always shop for an energy star-certified unit to save money on power bills. In the United States, to identify them, check for a square, blue logo with “Energy Star” words and a picture of a star. 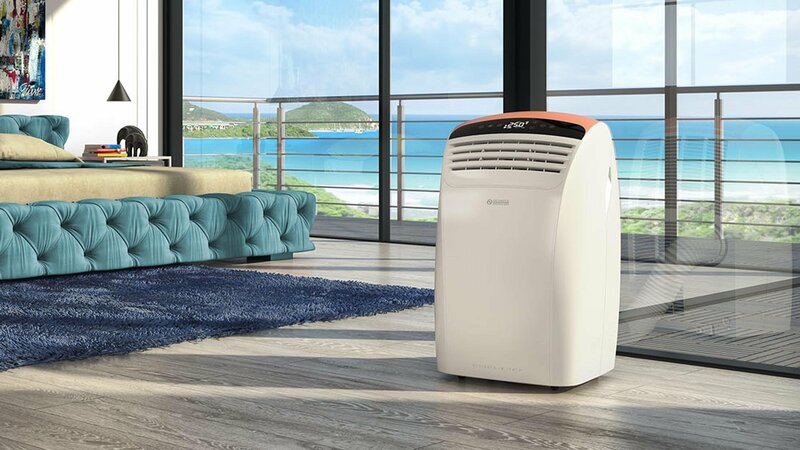 Another top feature to look for is an air conditioner with easy-to-read and a large LED display to check the precise temperature of your room at a glance. Then, be sure there are easy to understand controls and ensure that the labels and instructions are easy to understand. Follow these tips to get the best air conditioner for your home. First, measure for cooling capacity, then, determine BTUs. All that is left is to select the right system that gives you, your family, and guests the nicest, most comfortable temperatures in your home this summer.